I recently unleashed my inner English major as I reviewed a new novel set on Minnesota’s North Shore a century ago, Peter Geye’s “The Lighthouse Road.” The book would a good read for anyone who loves Lake Superior and its history. Fate and free will have been debated since the ancient Greeks believed that oracles, channeling the gods, could foretell our lives. Oedipus would kill his own father and sleep with his own mother, no matter the actions of lowly humans. His parents heard the news and abandoned the child to die, but Oedipus clawed his way back. His exertions to avoid his own fate – and those of his parents – led him directly to that which the oracle promised. Sophocles’ Oedipus Rex (which I’ve massacred through summary) came to mind while reading The Lighthouse Road, Peter Geye’s newly published novel of northern Minnesota. Here, the biggest forces of fate have nothing to do with men or gods. Instead, at these northern latitudes, the seasons dictate our lives. They rule what we eat, what we wear, what we do. There is a time for fishing and a time for mending nets, for blueberries and for root vegetables, for snowshoes and canoes. Odd Thiede, the orphaned protagonist forever searching for shelter from the storm, is subject to a profoundly Earth-bound destiny. His fate is specifically the harsh seasons of Lake Superior’s North Shore – not the gods’ will but the natural world’s ambivalence, the relentless cycles of the Earth. To take your boat out for its maiden voyage on the big lake during November (the month of the wreck of the Edmund Fitzgerald) is not to challenge the gods but to merely gamble your own life, weighing the chance of a storm against the chance for a future and a family. The odds of this bet are not made by any bookie, but by the wind and the water and love. It is not an affront to god, but to one’s own instinct for self-preservation. Today was the third anniversary of my career as a “professional water-worshiper.” It has been at turns exhausting and exhilarating. I am often struck by simply how much I have done and experienced in these 36 months. Luckily, my job often involves writing. I sometimes say it is the only thing I’m any good at it, and I enjoy it like really nothing else. I inherited the affliction from my Dad; a bequest that’s value is yet to be determined. For several years, companies proposing new mines in Minnesota have pledged to comply with our state’s environmental laws. But today they are seeking to roll back and weaken environmental protections with the help of a willing Legislature. All that talk about “doing it right” and “playing by the rules” seems to have been just that: talk. I believe my organization carries on some of the work of Sigurd Olson, the writer whose books about the canoe country and his passionate advocacy are largely responsible for its protected status today. My three years of work and minor written output deserve no comparison, though I take solace knowing that he was 50 before publishing his first book. Most folks would probably associate Sig with his prose, which sang the song of “The Singing Wilderness” (the title of his first book). 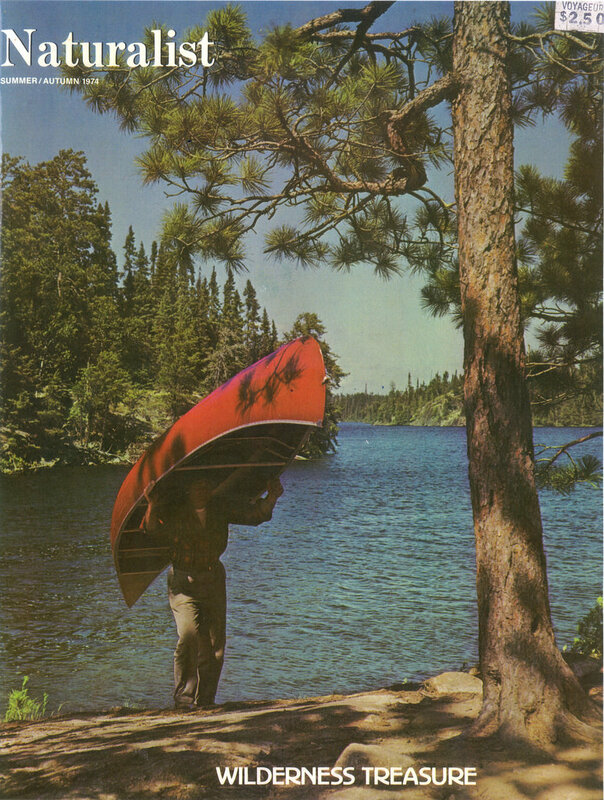 He had adventures all over the Boundary Waters and wild Canadian rivers, and he wrote about his trips and the profound impact wilderness could have on the human soul. Not many people probably would associate him with the conservation issue that I wrote about above and which consumes much of my life. But, the other day I dug up a magazine from 1974 called “Minnesota Naturalist,” a special issue which was all about the issue of proposed copper-nickel mining in northeastern Minnesota. Today this land is faced with a new threat that could destroy swiftly and forever the very qualities that engender love and dedication in those who have known it. 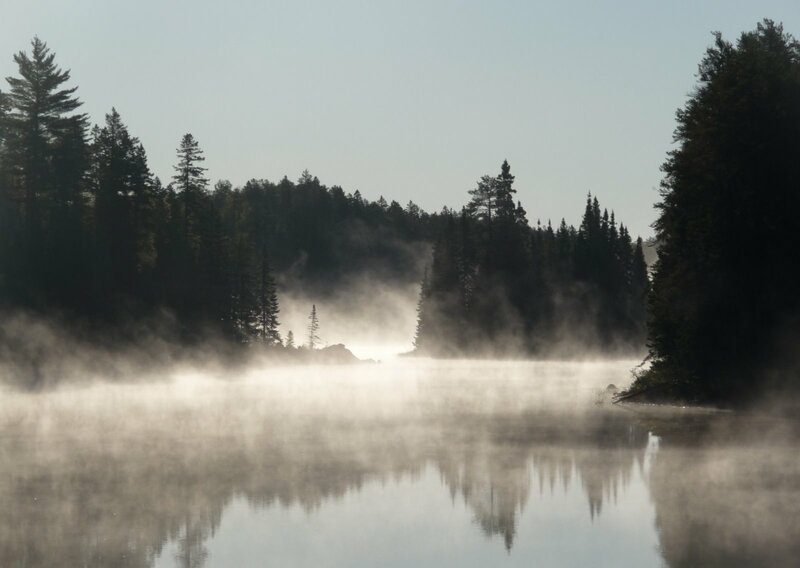 Short term mining developments within the Boundary Waters Canoe Area or close enough to affect it adversely must be weighed now against its value as wilderness. This is an ethical and humanitarian problem rather than one of economics and industrial development. Let us therefore plan wisely to preserve this wilderness treasure of the North … America cannot afford to lose another priceless heritage. Click the magazine cover above to see a full-size version. The whole magazine featured color photographs by Les Blacklock, and the cover is Kodachrome goodness. Those who know me and know my work probably weren’t surprised when the Friends of the Boundary Waters Wilderness announced that we’ll be publishing a chapbook this fall. It’s a special project of mine and I would love it if some of my BWCAW-loving readers sent in an essay, poem, or other writing of some sort. We are seeking submissions from anyone who loves canoe country. Unfortunately, we don’t have the funds to offer monetary awards this year, but I hope writers might see it as a way of supporting a worthy cause and a chance to get their words in print in front of an audience of people who care deeply about the Boundary Waters. The deadline is September 30. Click here for details and to submit your stuff! Morning on South Wilder Lake... which we had all to ourselves. It was a place of intense solitude and roaring silence, quiet save the occasional red squirrel chattering from the woods or crow caw-cawing as it flew across the water. We were more than a mile from the nearest human, and about 10 miles of paddling and several portages from the nearest road.